New Delhi: Pakistan has handed India “preliminary findings” over last month’s suicide bombing in Jammu and Kashmir’s Pulwama, claimed by Pakistan-based terror group Jaish-e-Mohammed, adding it would now seek more evidence from India for its investigation into the bombing. Pakistan has denied any role in the Pulwama attack that killed 40 CRPF soldiers, and Prime Minister Imran Khan offered cooperation in investigation if credible evidence was provided by India. “The Government of Pakistan has shared preliminary findings with the Government of India after examining the Indian report on Pulwama incident,” the Pakistani foreign ministry said in a statement. “We have sought further information/evidence from India to take the process forward,” it said without giving further details including the nature of evidence sought. The information was shared with the Indian high commissioner, who was summoned to the Pakistani foreign ministry for the purpose. “While 54 detained individuals are being investigated, no details linking them to Pulwama have been found so far. Similarly, the 22 pin locations shared by India have been examined. No such camps exist. Pakistan is willing to allow visits, on request, to these locations,” the Pakistani foreign ministry said. It said “all aspects of the information provided by India have been thoroughly examined including the confessional video of Adil Dar”, who drove a mini-van laden with explosives beside a CRPF convoy and detonated it. 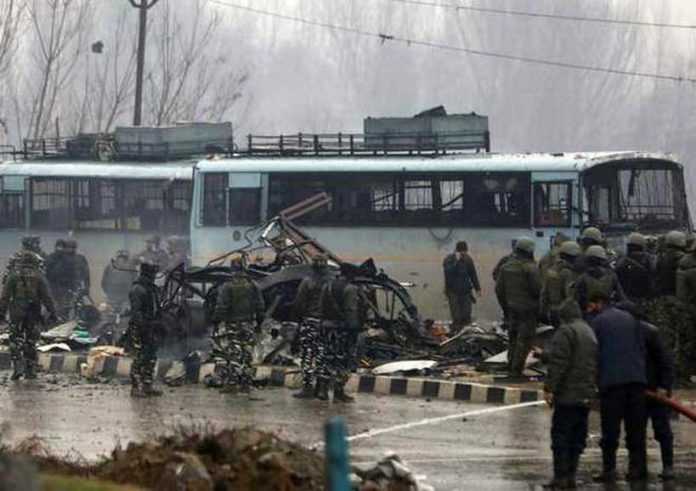 “Whatsapp and Telegram numbers used to share videos and messages in support of Pulwama attack (have been examined)… Service Providers have been requested for data including relevant details of activities and contacts of the GSM number provided by India. A request for assistance from Whatsapp has also been made to the US government,” the Pakistani foreign ministry said. Days after the Pulwama attack, India launched a cross-border air strike in Balakot that kicked off a dogfight in which India lost a MiG-21 Bison fighter jet and also shot down a Pakistani F-16.